A number of men are now accusing Kevin Spacey of assault following Anthony Rapp’s revelation. Director Tony Montana claims he was groped by Kevin Spacey in a Los Angeles bar in 2003. The filmmaker says he was left with PTSD for six months following the incident. It follows an allegation made by Anthony Rapp that Kevin Spacey tried to “seduce” him when he was 14 years old. Kevin Spacey says he has no recollection of that incident, and was “beyond horrified”. Tony Montana told Radar Online that he was in his thirties when the incident took place at the Coronet Bar in LA. 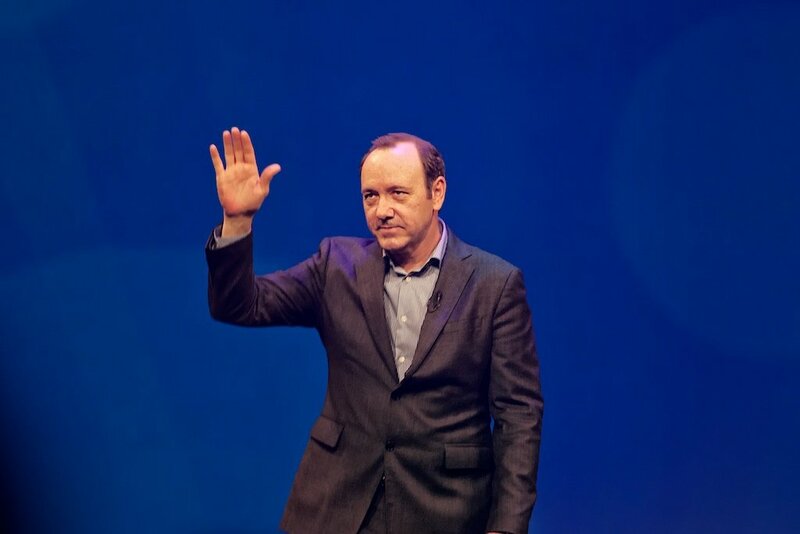 The director says he removed Kevin Spacey’s hand from his body and walked away, but claims the actor later followed him into the men’s toilets. Incidents regarding Kevin Spacey are also alleged to have taken place in the UK while the Oscar-winning was the artistic director at the Old Vic in London between 2004 and 2015. Roberto Cavazos, who acted in several plays at the theater, claims Kevin Spacey “routinely preyed” on young male actors. Roberto Cavazos said he fended off two “unpleasant” advances from Kevin Spacey that “bordered on harassment”, but that others were afraid to do so. “There are a lot of us who have a <<Kevin Spacey story>>,” he says. The Old Vic has set up a confidential complaints process for anyone connected to the 200-year-old theater to come forward. Separately, British Daniel Beal claims Kevin Spacey exposed himself to him in 2010, when he was working at a hotel in West Sussex. The former bartender, then 19-year-old, claims Kevin Spacey also invited him up to his room, but he rejected the star’s advances. Daniel Beal says the actor gave him his £5,000 watch later that same evening, and a few weeks later called him asking to meet up. Meanwhile, House of Cards’ production has been suspended following the assault allegations against Kevin Spacey. House of Cards was already due to end after season 6, but production is now suspended “until further notice”. Kevin Spacey has also been dropped as the recipient of a special Emmy award he was due to receive next month. The International TV Academy said in a statement that it was withdrawing the International Emmy Founders Award “in light of recent events”.